Israeli soldiers, the young men and women in the army, know the truth of the occupation better than anyone—they are the people who carry it out. 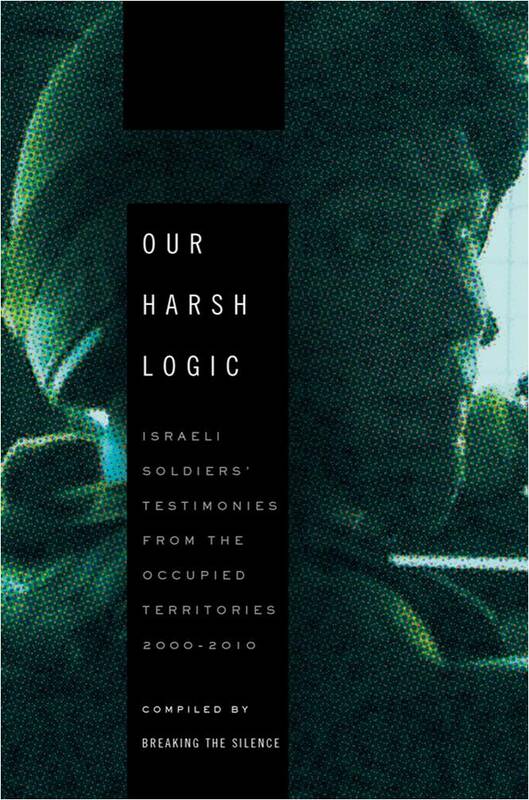 Now, in a monumental book of collective testimony, OUR HARSH LOGIC: Israeli Soldiers’ Testimonies from the Occupied Territories, 2000-2010 the soldiers speak out and demand to be heard. The Israel Defense Force (IDF) is still held by many to be “the most moral army in the world,” and its actions in the Occupied Territories are—it claims—first and foremost aimed at protecting the country from terror. But the soldiers themselves tell a different story. Talking frankly about what they did, what they were told to do, and what they saw, these young Israelis draw a broad and powerful portrait of an ostensibly defensive military program that in fact serves an offensive agenda. As the soldiers show in vivid and immediate detail, even the key terms of IDF policy—“preventing terror,” “separating populations,” “preserving normal Palestinian life,” and “law enforcement”— in fact mean precisely the opposite on the ground, spreading fear and subjugation, accelerating Jewish settlement and the acquisition of Palestinian land, crippling all political and social life, and ultimately thwarting any possibility of independence. Avner Gvaryahu was born and raised in a religious Zionist family in central Israel. He joined the IDF as a paratrooper in 2004 and served as a sniper team sergeant in a special operations unit, mainly around Nablus and Jenin. After his discharge, Avner became involved with Breaking the Silence firstly as a researcher but later as Diaspora Activities Coordinator. Avner holds a Master of Social Work from Tel Aviv University and lives in Tel Aviv with his wife. BREAKING THE SILENCE was established in Jerusalem in 2004 by Israel Defense Forces veterans who have served since the beginning of the Second Intifada and have taken it on themselves to expose the public to the realities of everyday life in the occupied territories. They have collected over 800 testimonies to date.